A reader has emailed in with this photo – can you identify what it is. Is it a virus, fungus, insect? 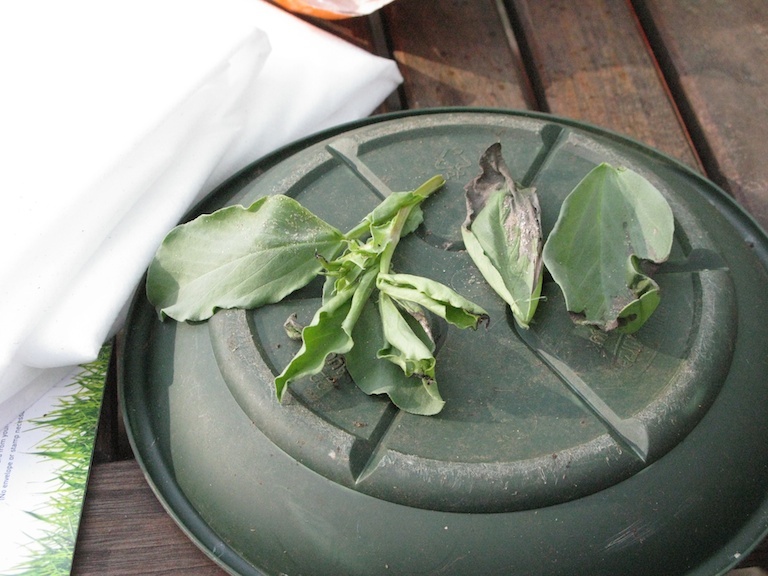 The problem has been identified as frost damage and nothing to worry about. The plants look very healthy and should produce a fine crop. 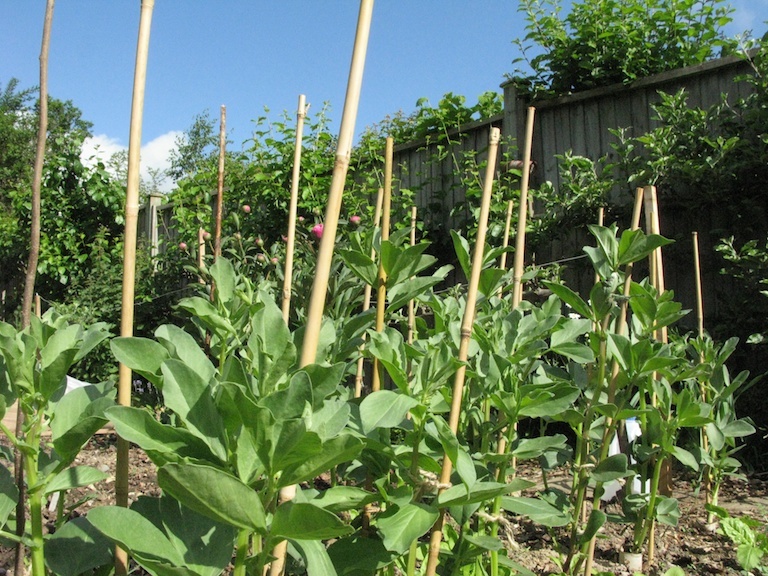 A growing tip from Sine Chesterman* is to pinch out the tops once the first beans are forming on the lower stems. This stops blackfly colonising the tops of the beans and working their way down and ruining the crop. She used to give the tops to their goats who loved them. When the last goat died Sine used to cook them, boiled with a little salt, strained and warmed with a little pepper and butter – superb! * Sine Chesterman’s interest in gardening and botany started at an early age with her own patch in her parent’s garden and learning which plants were natural healers. Brought up with old and tested remedies and gardening methods, now termed organic, she still practises natural ways of pest control. We will be publishing a series of features about herbs written by Sine in the near future.